Shakespeare Play in Just One Day: A Midsummer Night’s Dream! We did it! 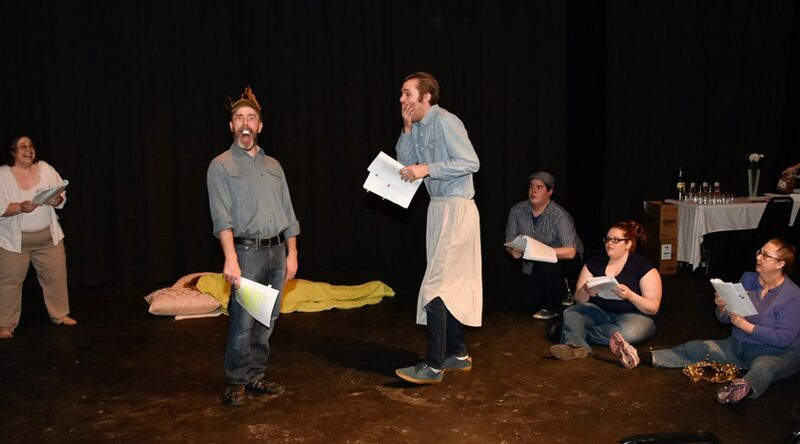 On the evening of Jan. 19, A Midsummer Night’s Dream was randomly selected, cast, and read through. On the 20th, after rehearsing in the morning, afternoon, and evening, we mounted the production. The event was a resounding success, and officially kicked off the “All the Works | Seasons of Discontent” capital campaign. Visit the campaign page to be a part of Prenzie’s future! 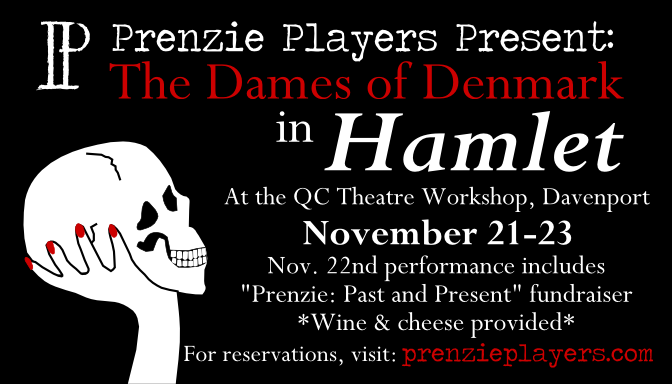 Prenzie Players is excited to be hosting The Dames of Denmark: four talented actresses (perennial Prenzies Cait Bodenbender, Stephanie Burrough, Maggie Woolley, and Denise Yoder) who will each play multiple roles in one memorable production. You will find us at the Quad City Theatre Workshop, 1730 Wilkes Ave, Davenport, IA. Parking is available just off Locust St. on the west side of the Institute of Therapeutic Massage and Wellness. The lot is accessed by turning south on Howell. Proceed half a block and turn left to enter the fenced parking area. Doors open 30 minutes prior to curtain. Tickets: $10 on Friday/Sunday and $20 for Saturday’s fundraiser, curtain at 3pm on Sunday and 8pm on Friday/Saturday. Tickets are available at the door, by email at tickets@prenzieplayers.com, by phone (563) 484-4210, or right here on our website. Seating is limited. Prenzie Players Educational Outreach Presents! 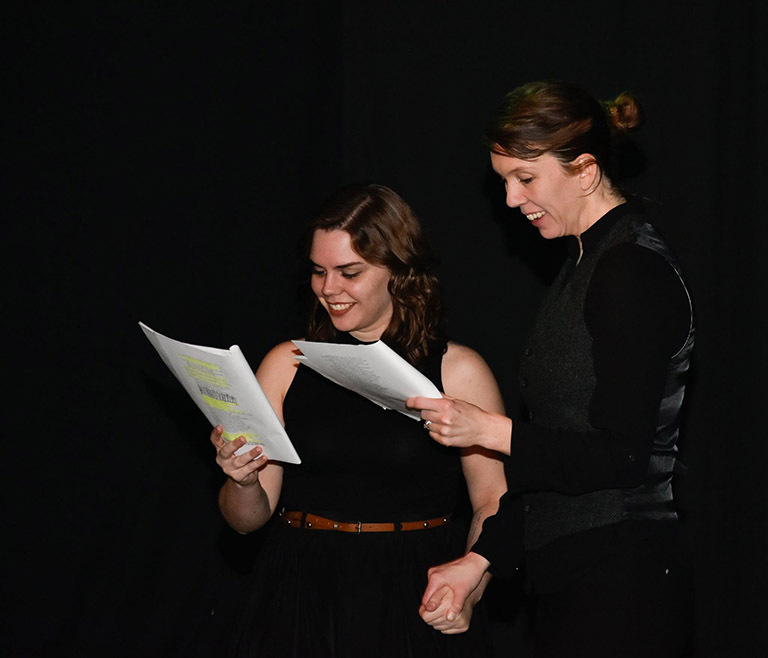 Have you always been a bit intimidated by Shakespeare or want to work on your “classical monologue” for college auditions? 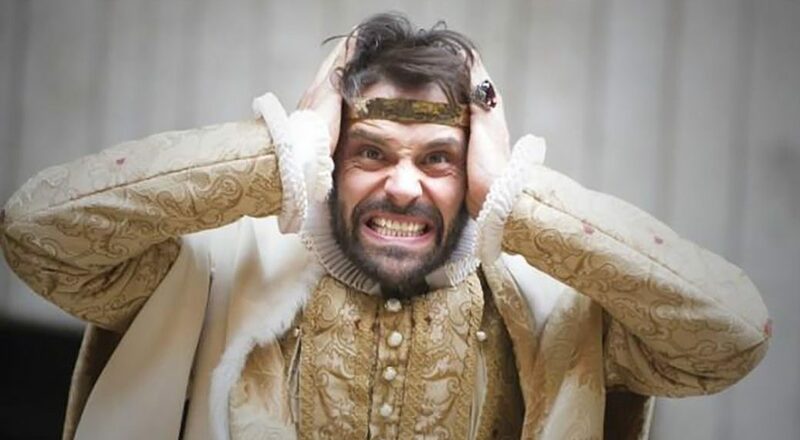 Prenzie Players is offering the opportunity to approach Shakespeare’s language by taking part in group activities by exploring the text through discussion and group improvisation in a friendly, relaxed and informal setting. We are excited to offer our first educational workshop geared exclusively towards high school students with all levels of experience. Please join us on Saturday, March 1, 2014 at QC Theatre Workshop, 1730 Wilkes Ave, Davenport, IA from 9am-12pm for only $10. If you have any questions please contact us at info@prenzieplayers.com or check us out on the web at prenzieplayers.com.